The Great Barrier Reef is the world's largest living structure and one of the most complex natural ecosystems in the world. Stretching 2300 kilometres, the Great Barrier Reef is composed of over 2,900 individual reefs and 900 islands with a breathtaking array of marine creatures including 600 types of soft and hard corals, more than 100 species of jellyfish, 3000 varieties of molluscs, 500 species of worms, 1625 types of fish, 133 varieties of sharks and rays, and more than 30 species of whales and dolphins. Now that is really Great! Known as one of the seven wonders of the natural world, it is one of Australia's greatest attractions and a must see for visitors to Cairns. There are a variety of ways to view the reef from above and below for all different ages and abilities. You can do anything from relatively inexpensive day trips on large boats to intimate five-day luxury charters. The Great Barrier Reef is scattered with beautiful islands and idyllic coral cays with many located just a short boat ride from Cairns. These can be visited on a day trip with some offering the option of an overnight stay. The most easily accessible from Cairns is Green Island and Fitzroy Island, both protected National Parks. Green Island is actually a coral cay, situated just 27km from Cairns or a 45 minute ferry ride. What makes it so unique is that out of the 300 sand cays on the Great Barrier Reef, it is the only one with a rainforest. Regular half and full day trips depart daily with a host of activities available once at the island. Fitzroy Island is also a short 45 minute ferry ride from Cairns, and one of the most unspoilt islands on the Great Barrier Reef. This continental island is 339 hectares in size, with 324 hectares of protected National Park. This includes mangroves, open woodland, tropical pristine rainforest and coral beaches best experienced by the walking trails around the island, birdlife, coral reef and tropical marine life including green sea turtles. 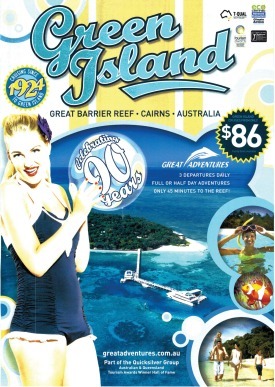 Other nearby accessible islands include Lizard Island, Frankland Islands, Double Island, Low Isles and Snapper Island. 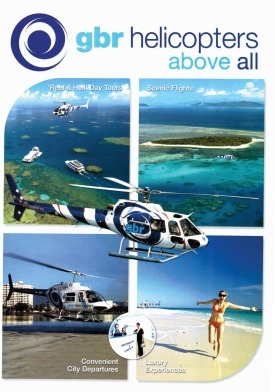 Great Adventures offers the choice of three daily departures from Cairns. This fast comfortable 45 minute cruise to Green Island is perfect for visitors with limited time, offering a half or full day experience. With a range of exciting optional activities including snorkel gear and glass bottom boat tours, you can design your day at your own pace. Lizard Island is considered one of Australia's most exclusive destinations, situated 132 nautical miles north west of Cairns. The island is surrounded by some of the most beautiful and pristine reefs in the world and boasts 23 pure white beaches. Daintree Air offers a day trip to Lizard Island where you will have a full six hours to explore this pristine National Park. The day includes a low level scenic flight from Cairns. Only 45 minutes from Cairns, Fitzroy Island is one of the most unspoilt islands on the Great Barrier Reef. Being a continental island, it is covered with lush, pristine rainforest. Fitzroy Island is surrounded by a beautiful fringing Reef system that forms part of the Great Barrier Reef Marine Park. Getting wet and exploring the coral reef, where tropical fish present a rainbow of colour, is as easy as stepping off the beach. The Frankland Islands Group National Park lie about 10 km offshore from the mouth of the Russell and Mulgrave River. Frankland Islands Cruise & Dive set themselves apart from other reef tour operators as they are the only company able to visit this spectacular group of islands. A 30 minute scenic cruise on the Mulgrave Rives begins the day followed by a short open water crossing to the Normanby Island. Become a real life Robinson Crusoe today with this exclusive overnight trip with Tropical Sea Kayaks to beautiful Snapper Island National Park. Snapper Island National Park is situated 2 kilometres from the mouth of the Daintree River, in Tropical North Queensland, Australia. The island is uninhabited, filled with tropical rainforest and surrounded by magnificent coral reef and white sandy beaches. Accommodation on the island is camping on the beach. Very easy to wake up to - a true room with a view! Quicksilver's 30 metre luxury sailing catamaran, Wavedancer, offers the excitement of big ship sailing to the Low Isles. From the moment your luxury catamaran moors in the calm waters of the island's picturesque lagoon, a host of reef activities await. The wide sandy beach and clear, calm lagoon are ideal for swimming, snorkelling and families. The Low Isles is surrounded by soft coral gardens and is a haven for Turtles. A cay is a small low level sandy island that has formed on top of coral reefs. There are some 300 coral cays on the Great Barrier Reef, each individually shaped and influenced by changes in ocean waves, currents, tides and sea levels. Some carry vegetation, others have created a habitat for birds. Green Island is perhaps the best known of all the coral cays as it is the only one on the reef to have fully developed rainforest; Upolo, and Vlasoff Cays off Cairns are simple piles of sand with no vegetation but with a good variety of fringing reef that supports a healthy fish population, meanwhile Michaelmas Cay is an important seabird nesting site. There are a number of coral cays accessible from Cairns where you can find a picture postcard piece of paradise on the Great Barrier Reef. Michaelmas Cay is a picturesque vegetated sand cay encircled by a spectacular fringing reef, it is also a most important sanctuary for migratory birds. Set sail aboard a 32 metre luxury sailing catarmaran with Ocean Spirit Cruises and enjoy a day of activities. Snorkel, cruise in the semi-submersible, watch the fish feeding presentation and explore the island. This trip includes a complimentary glass of sparkling wine, cheese and crackers on the homeward journey. Cruise, sail and snorkel Green Island with a personalised trip onboard Ocean Free. With only 25 guests maximum this is the ultimate way to experience Green Island, the unique rainforest, and its surrounding reef system. Ocean Free has an exclusive reef mooring, where only their guests snorkel and dive. Transfers onto the island and enjoy free time to explore. Low Isles is situated 15 kilometres north-east of Port Douglas, and comprises of a small coral cay (Low Island) and a larger mangrove island (Woody Island). Sailaway invites you to enjoy this protected Coral Cay with small numbers of guests. A luxury 15.5 metre (52ft) catamaran, Sailaway moors in the sheltered blue lagoon, from here you can join the guided snorkel tour, take a trip on the glass bottom boat, laze on deck or explore the island. Escape to this private tropical paradise and enjoy a brunch in solitude on your own private Sand Cay. The perfect escape for engagements, honeymoons, weddings and anniversaries, this special trip with GBR Heli departs from either Cairns or Port Douglas and offers a unique aerial perspective over the Great Barrier Reef. Here you can relax, swim, snorkel and indulge yourselves with a gourmet meal of tropical platters and premium beverages. Upolu Cay is a small coral cay located on Upolu Reef, 30km from Cairns. It is a relatively ‘young’ cay that started its life as a sand bank and is slowly getting larger over time. This natural pontoon is still changing, governed by the weather patterns and tidal movements. Ocean Freedom is a 20M luxury, cruising catamaran that visits Upolu Cay and Upolu Reef. Where conditions allow you can land on the Cay itself and explore the surrounding coral directly off the beach. The Outer Barrier Reef sits on the very edge of the continental shelf, this is where the ocean floor drops from 30 – 40 metres to hundreds of metres. Outer Reef locations are found in clean coral sea water, this is because they are located far enough from coastal rivers, streams and sandy beaches to ensure clear ocean waters and maximum visibility. This means the Outer Reef has a greater diversity and abundance of coral and fish life as compared to the Inner Reef. Being some of the most pristine areas of the entire Great Barrier Reef, the outer reef provides some of the best reef snorkelling and diving opportunities in the world. 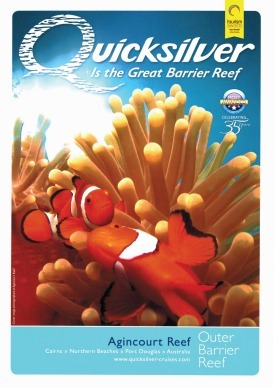 Quicksilver Cruises, is the region’s outer reef pioneer. Visiting Agincourt Reef, part of the ribbon reefs, located at the very edge of Australia's Continental Shelf. Here you can dive, snorkel, or stay dry and explore the stunning reef from the comfort of a Quicksilver semi-sub, just one metre underwater. Osprey V offers a fun, memorable reef experience to the true outer edge of the Great Barrier Reef. 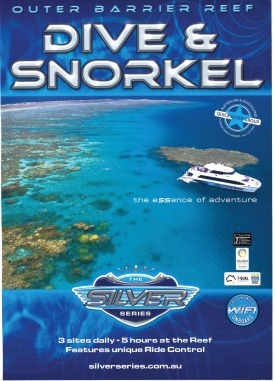 Enjoy 5 hours at 2 spectacular reef locations such as Norman, Saxon, Hastings or Michaelmas Reef. Expect to see spectacular coral formations and masses of brilliantly coloured fish. Children up to 16 years are charged at childrens rates. 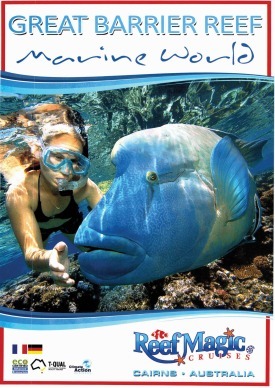 Reef Experience is the only "all inclusive" day tour visiting the Great Barrier Reef. Spend 6 full hours visiting 2 spectacular Outer Reef locations. Go snorkelling, try a scuba dive and come face to face with schools of tropical reef fish & amazing spectacular coral formations. Learn about the reef and enjoy a glass bottom boat tour. Ocean Freedom offers an extremely personalised tour. Cruise to Upolu Cay Reef and the outer edge of Upolu Reef. For the adventurous, a drift snorkel tour is included in your day. Get in a dinghy to the edge of the wall and learn about the reef as you drift snorkel back to the boat under the guidance of your very capable crew. 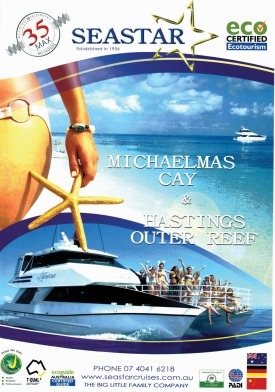 Seastar combines the Outer Reef and a Coral Cay island in one day. Always the first to arrive at Michaelmas Cay, the largest of the local uninhabited coral cays you will have time to explore and practice snorkelling. After spending some time here it is just 20 minutes cruising to Hastings Reef. This Outer Great Barrier Reef site is where the corals thrive. This family friendly outer reef trip visits Moore Reef pontoon where you can enjoy 4 hours of reef activities such as snorkelling, glass bottom boat and semi submersible coral viewing tours and an underwater observatory. For infants and toddlers there is a fully enclosed kids pool where they can swim in a safe, enclosed environment and still get to experience the Great Barrier Reef. Green Island is an easy escape for the whole family. Situated just 45 minutes by fast ferry, the day is yours at leisure to do as much or as little as you please. Frequent ferry departures make it easy for families so you can shorten your day if you prefer. Glass bottom boat tours are a great introduction to the Great Barrier Reef, other activities include snorkelling straight off the beach, rainforest walks, paddling in a kayak or saying 'hello' to the crocodiles in Marine Melanesia. 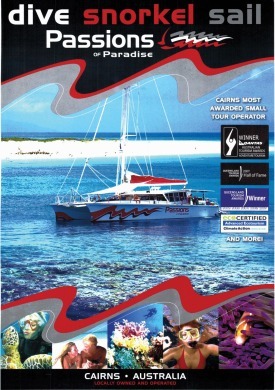 Experience the thrill of sailing on the Great Barrier Reef. Help hoist the sails and travel at a relaxed pace to the Great Barrier Reef. Sailing is one of the great joys, as you feel the wind in your hair and smell the salt in the air. Choose from an exciting day charter or an overnight liveaboard adventure. Passions of Paradise visits two very special reef locations on the Great Barrier Reef; Michaelmas Cay and Paradise Reef. The sleek, modern, 25 metre maxi-sailing catamaran will ensure you travel in style and comfort without the large crowds. A dedicated snorkel instructor provides free tuition for those who want to learn to snorkel. Leave the crowds behind when you step aboard Reef Daytripper. Reef Daytripper is a small sailing catamaran that offers sailing, snorkelling and diving adventures to two locations on Upolu Reef. Small passenger numbers (max 20) ensures a friendly, personalised day. Choose from Hands-on sailing or complete relaxation. Set sail with Ocean Spirit Cruises aboard a 32 metre luxury sailing catarmaran. Visiting Michaelmas Cay a protected seabird sanctuary. 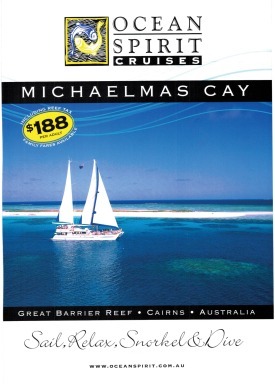 Explore Michaelmas Cay by scuba diving, snorkeling or jumping on board the Semi-Submersible. This trip includes a complimentary glass of sparkling wine, cheese and crackers on the homeward journey. Ocean Free is a beautiful 63ft schooner, which sails daily to tropical "Green Island" on the Great Barrier Reef. This is the only boat operating out of Cairns to offer a personalised reef, sail and island experience all in the one tour. Sailing to their exclusive mooring at Pinnacle Reef, you can choose to snorkel, dive or explore Green Island. The luxury Coral Sea Dreaming is a spacious 18 metre (60 foot) Ketch made of steel with a beautiful wooden interior and various cabin options. This 2 days/1 night liveaboard caters to snorkelers, intro and certified divers with a maximum of 12 passengers per trip. Accommodation comprises of private cabins, single bunks and a family cabin. It is possible to visit the Great Barrier Reef on a budget and still reap the rewards of a full snorkel or dive experience. Whether you're keen to visit the islands or outer reef you will surely find a trip to suit your budgets and requirements. Here are our best budget reef trip suggestions. Fitzroy Island is only 45 minutes from Cairns and is one of the most unspoilt islands on the Great Barrier Reef. Snorkel the fringing coral reefs, stroll through the National Park rainforest walking tracks and discover breathtaking views of the island and surrounding reefs, picnic at Nudey Beach and enjoy free use of the Ocean Trampoline. Compass Cruises outer barrier reef trip is a great day for young travellers on a budget, and is very popular with backpackers that visit Cairns. This trip offers 5 hours on the reef at two different locations and includes unlimited snorkelling, a BBQ lunch and Wine, cheese & biscuits on journey home. M.V. 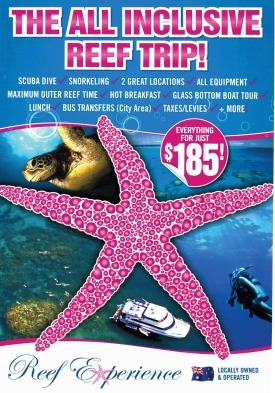 Reef-Kist offers the best value snorkelling & diving on the Great Barrier Reef. Travelling via Fitzroy Island on the way to the true Outer Great Barrier Reef, each day they visit a reef from a choice of Milln, Briggs, Moore and Thetford Reefs. M.V. Reef-Kist catamaran is licensed to carry up to 75 passengers, with daily guest numbers limited to 40 people. The Great Barrier Reef is a diver’s dream, with temperatures ranging from 22-29 Celsius (75-85 Fahrenheit), it makes for comfortable scuba diving all year round. 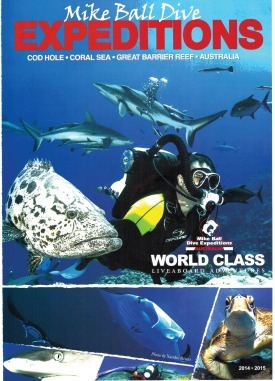 Magnificent dive sites include drift and wall dives, bommie and pinnacle, coral gardens and swim throughs. The outer reefs are great for beginner divers. The maximum depth is generally 20 metres. Some of the best dives on the Great Barrier Reef are in less then 18 metres of water. This tends to be where the reef is at its most colourful and full of life. All tours offer Introductory and Certified Diving, so if you've never experienced scuba diving before now is your chance with an 'Intro Dive'. You do not need to have any experience to participate in an intro dive, all tuition is undertaken on board. Highly skilled dive instructors will take you step by step through the whole experience, from the dive briefing lecture, the equipment and the dive, to ensure all facets of your dive are comfortable and most of all enjoyable. Certified divers will enjoy the numerous reef locations available, each site offers a new experience, selected for its unique variety of marine life and corals. Most of tours offer a choice of guided or unguided diving and if you don’t have your own buddy, they’ll pair you up with someone on the boat. All dive equipment is provided onboard and Divemasters / Instructors provide comprehensive dive briefings en route to the Great Barrier Reef, covering the equipment, dive signals and dive site overviews. Certified Divers are required to produce their Certification Cards plus complete paperwork once on board, meanwhile introductory divers will be required to complete a medical questionnaire. Some medical conditions or medications may prevent you from scuba diving unless a current Queensland Diving Medical Certificate can be shown to the Dive Instructor. 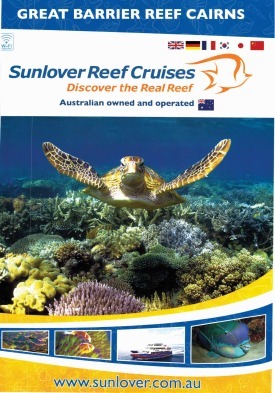 Silversonic departs daily from Port Douglas and is an ultra modern catamaran, visiting three outer edge reef locations at Agincourt ribbon reef. You will have over 5 hours to explore the delights of this underwater world. Divers of all levels from novice to experienced are catered for. All dives are guided to maximise your experience. Ideal for experienced divers, Silverswift is the only Cairns based vessel to visit 3 sites in one day. You'll get to explore spectacular coral formations and underwater gardens at outer reef sites at Flynn, Pellowe, Milln and/or Thetford Reefs. Locations vary with the day's conditions, with each site chosen for its visual impact, ecological diversity and the challenge of discovery! TUSA T6 is Cairns' newest reef vessel, custom designed for diving and snorkelling on the Great Barrier Reef. Passenger numbers are limited to just 60 guests, while the vessel has seating to accommodate 120 passengers. .TUSA Dive has access to more than 15 sites on the outer reefs, and visit 2 sites daily, chosen based on optimum conditions. Explore the magnificent coral gardens of the Agincourt ribbon reefs with Poseidon Cruises. Certified Divers can enjoy up to 3 guided dives, using large tanks (75 or 88c + tanks) and dive computers for extended bottom time. Introductory Divers have the option to take up to 3 introductory dives at each of the 3 reef sites visited on the day so you can experience 3 completely different reef environments. SeaQuest offers fantastic value for money and gives you the opportunity to enjoy unlimited snorkelling or to take up to 3 scuba dives at 2 different reef locations. This purpose built vessel allows you to experience the best of the Great Barrier Reef. Introductory divers are well catered for with a maximum of 4 divers per instructor. During the dive you can expect to see the Great Barrier Reef in all its glory. If you want to learn to scuba dive, then the first step is to take a PADI Open Water Diver course. A 4 Day Learn to Dive Course comprises of 2 days pool & theory and 2 day trips to the reef to complete the open water dives. Four dives will complete your open water diver training. The 4 day learn to dive course is an ideal option for those short of time, or who would prefer a land based course. Highly recommended however is the 5 Day PADI Open Water dive course, this is by far the most popular option. The adventure of learning to dive, as well as staying out on the reef for 3 days and 2 nights onboard a liveaboard vessel, is quite unique. Courses start daily, some in different languages too, and within a few days, you will be ready to enjoy the underwater world! 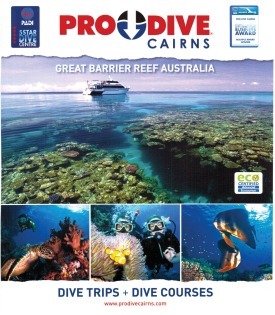 Pro Dive Cairns is Cairns most recognized and highly awarded dive school. Courses start daily at their centrally located, purpose built training centre. The centre provides some of the best diver training facilities available in Australia, with 6 air conditioned classrooms and 2 large 4 metre deep heated diver training pools. Following two days’ pool and theory training with your instructor, you will then experience the adventure of three exciting days on the Great Barrier Reef. The 5 day learn to dive course includes 9 dives which gives you the opportunity, once you are certified, to enjoy some dives with your buddy at leisure, for many this is the highlight of the course. Courses in German and Japanese are also available. Deep Sea Divers Den is not only the largest, but also one of the longest established Cairns Diving and Snorkeling companies that has operated in Cairns for over 30 years. Offering dive training for all levels of diving experience; the training facilities are located under one roof, which is one of the many reasons Deep Sea Divers Den has earned it's PADI 5 Star Instructor Development Centre status and PADI Career Development status - one of the highest ratings awarded to any Dive store as recognition of continued Diver training excellence. The 5 Day Liveaboard option is by far the most popular learn to dive option. Not only are you certified as a PADI Open Water Diver, but you also get FIVE additional 'Fun Dives', including a guided night dive at no extra charge! English courses start daily, Chinese and Japanese courses also available. Staying overnight on the Great Barrier Reef is an unforgettable experience. You get much more time to relax, more time for diving, more time for snorkelling and more reef experience - early morning dives and night dives are both amazing times of the day for marinelife. Liveaboard dive trips visit some of the best dive locations on the Outer Great Barrier Reef, and provide some of the best scuba diving available. With roaming permits, your captain can select the most suitable dive location based on the conditions, water clarity and marine life of the day, so you can get the most out of your dive experience. Reef Encounter is your floating hotel, designed for the utmost stability and comfort at sea. Accommodating up to 42 guests, accommodation comprises of multishare rooms and private stateroom cabins, all with ensuites. All meals are prepared freshly onboard, the vessel is air-conditioned throughout with spacious decks, large dining and recreation areas. Reef Encounter visits between two to three different dive and snorkel locations per day. If you’re looking for a liveaboard adventure that gives you a large variety of reef experiences then look no further. 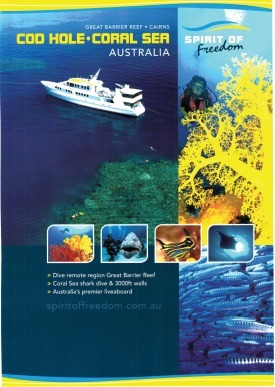 Pro Dive’s 3 day / 2 night liveaboard dive trip has access to 16 exclusive dive sites on 4 different outer reef locations. You'll get to participate in 11 dives, 9 day and 2 nights, or as a snorkeller you'll get to experience a large variety of fantastic outer reef locations. 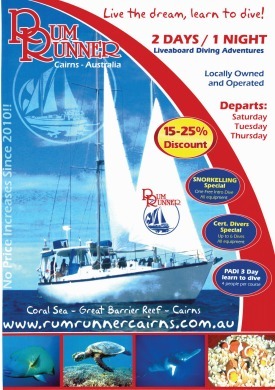 Rum Runner Cairns is considered to be the best value overnight liveaboard tour from Cairns. Enjoy 2 full days and 1 night onboard this Coral Sea yacht with a mximum of 16 guests on board. Rum Runner provides a totally relaxed and informal atmosphere with friendly crew offering personalised service. 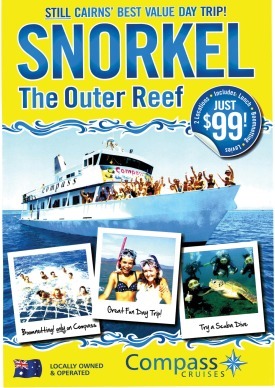 If you chose the snorkel option, snorkellers receive unlimited snorkelling PLUS a Free Intro or Cert Dive! The luxury Coral Sea Dreaming is a spacious 18 metre (60 foot) Ketch made of steel with a beautiful wooden interior and different cabin options. Offering a 2 day/1 night dive and snorkel adventure, this trip caters to snorkellers, intro and certified divers. Departing Tuesday, Thursday, and Saturdays with a maximum of 12 Passengers per trip, enjoy the wonders of the Great Barrier Reef on this intimate cruise. Since 1969 Mike Ball has been setting standards in the Australian dive industry with exceptional 3, 4 & 7 night liveaboard expeditions to the Ribbon Reefs and Coral Sea. Expeditions suit both novice divers and the adventuresome diver seeking exciting big fish and shark action. Mike Ball Dive includes a spectacular low level Scenic flight to Lizard Island before cruising the turquoise chain of Ribbon Reefs and remote Coral Sea Reefs. At 37 metres, the Spirit of Freedom is Australia's largest live-aboard dive vessel. Scuba Dive Tours of 3, 4 & 7 day duration visit iconic dive sites such as the Cod Hole, Ribbon Reefs and North Horn, Osprey Reef. Shark dives, Potato Cod feeding, massive soft corals, manta-rays, minke whales, and abundant reefs, rich with marine biodiversity are just some of the high-lights you'll experience with Spirit of Freedom. Visit some of the best dive areas on the Ribbon Reefs. Taka Ribbon Reef Explorer is one of only a few boats that make the trip up to this outstanding dive area. The Ribbon Reefs, being out of range for one-day dive boats, are less frequently visited, and the visibility is usually amazing. Why not try Bio Fluorescent Diving? Available exclusively to Taka, Bio Fluorescent Diving creates amazing fluorescent underwater landscapes! Enjoy some of the most exciting fishing in the world on the Great Barrier Reef. 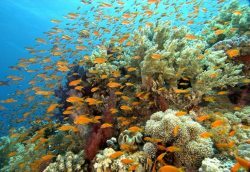 The huge variety of fish species inhabiting the Great Barrier Reef is astounding. With the mass of coral providing shelter, this abundance of life provides the perfect opportunity for the visiting angler to capture some truly magnificent fish. Reef Fishing, Bottom Fishing or Bottom Bouncing is a style of fishing most suited to catching reef dwellers. Great-tasting fish to be caught include spanish mackerel, coral trout, red emperor and nannygai or sweetlip. There are a number of charter boats specialising in bottom fishing that operate from Cairns and Port Douglas daily. Game Fishing is from September through to December. The largest black marlin in the world migrate to the 150 mile stretch of the Great Barrier Reef between Cairns and Lizard Island. Serious big game anglers will fall hook, line and sinker to come to Cairns at this time of year and be a part of the action! Norseman specialises in reef fishing for all of the top quality table fish found on the Great Barrier Reef. With state of the art GPS's and sounders and countless secret fishing locations dotted all over the local reefs, their fishing adventures are varied and different each time. Catches can include Giant Trevally, Large Mouth Nannygai, Red Emperor, Spanish Mackerel, Mangrove Jack, Spangled Emperor, Coral Trout and many others. Offering light tackle, heavy tackle and shark fishing, Dragon Lady is the only vessel in the Port Douglas fleet to offer share charters for light and heavy game fishing. Depending on the fishing option you choose, you can expect to catch: Coral Trout, Red Emperor, Sea Perch, Black Marlin, Sailfish, Spanish Mackerel, Dorado, Tuna, Wahoo & Giant Trevally. - Bigger than Victoria and Tasmania combined! - Bigger than the United Kingdom, Switzerland and Holland combined! - Roughly the same area as Japan, Germany, Malaysia or Italy! - Approximately half the size of Texas! - Slightly smaller than the entire Baltic Sea! 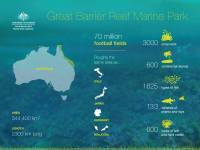 Here's some fast facts about the Great Barrier Reef, one of the world's most remarkable natural wonders. Green Island only 45 minutes from Cairns, perfect for families and visitors with limited time. Ocean Spirit is a luxury sailing catamaran taking passengers out to the beautiful Michaelmas Cay. Ocean Free is the only sailing tour to offer reef and island destinations, featuring an exclusive reef mooring at Green Island, where only their guests can snorkel and dive. Your very own desert island in the middle of the Great Barrier Reef. Relax, swim, snorkel on your own private Sand Cay. Ocean Freedom goes to 2 reef destinations including Upolu Cay and outer edge Upolu Reef. There is also glass Bottom boat tour and adventure drift snorkel tour included in the price of this tour. 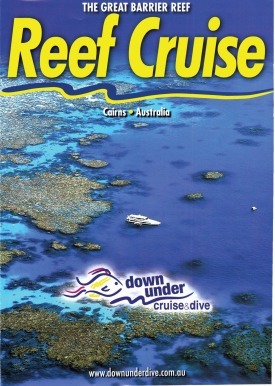 Down Under Cruise & Dive offers daily Reef Tours, Snorkel Tours and Learn to Dive Courses. Reef Experience is an all inclusive Great Barrier Reef day tour featuring Glass bottom boat, snorkelling, a FREE scuba dive on the outer reef and refreshments are included. 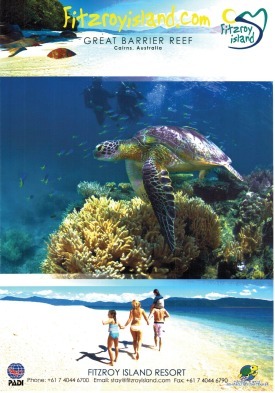 Seastar Cruises combines the outer Great Barrier Reef with a coral cay island. Enjoy a personalised day with maximum 35 passengers. 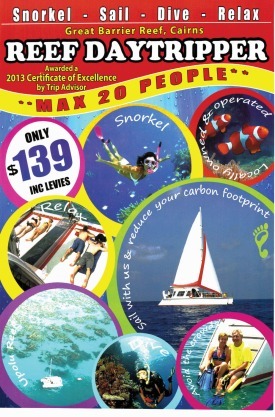 Reef Magic is great for all ages and swimming abilities. 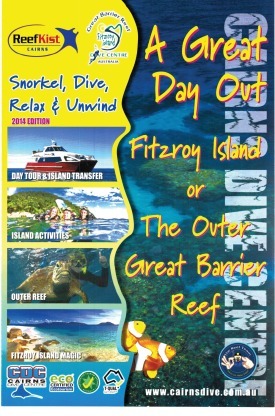 The day includes all snorkelling, a semi sub tour, underwater observatory, kiddies pool onboard a floating reef platform. Great for families, enjoy 4 hours with many complimentary inclusions. Whether you're a swimmer or non-swimmer there is something for everyone. Passions of Paradise is a 25 metre high-performance catamaran sails daily from Cairns to two unique locations, world-famous Michaelmas Cay and exclusive Paradise Reef. 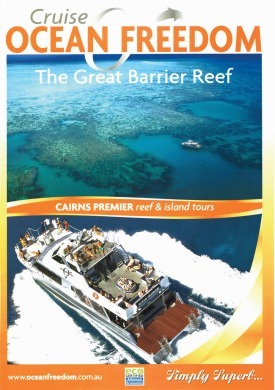 Avoid the crowds and experience The Great Barrier Reef on this charming catamaran with a maximum of 20 people. Dive and snorkel the Great Barrier Reef on a “Path-Less-Travelled” with Coral Sea Dreaming. With a maximum of only 12 guests this is a true sailing adventure to the very best outer reef sites. 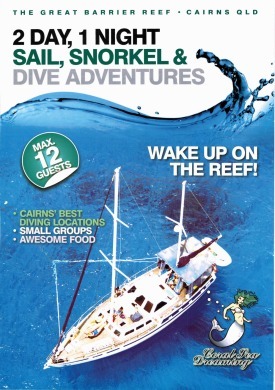 The best budget reef cruise in Cairns! If it’s value for money you’re looking for and a memorable day on the Great Barrier Reef then this Great Barrier Reef Buget Cruise has it all! 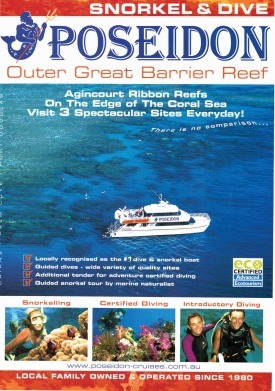 Best value diving & snorkelling on the Great Barrier Reef. 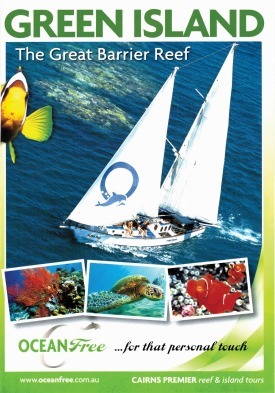 Visit 2 reef sites and experience the diverse wonders of the Great Barrier Reef. Silver Series specialises in dive and snorkel excursions with two ultramodern, custom-designed 29m dive and snorkel catamarans. Silversonic based in Port Douglas and Silverswift based in Cairns. Custom designed for diving and snorkelling on the Great Barrier Reef, Tusa 6 offers guided snorkel tours, 'introductory' diving, and certified diving with up to 3 dives in the day . Designed for personalised dive and snorkel adventures, Poseidon Outer Reef Cruises departs daily from Port Douglas visiting 3 spectacular reef sites at the Agincourt ribbon reefs. Internationally recognised for our high standards of quality, safety, professionalism and value, offering PADI scuba diving courses and liveaboard dive trips. 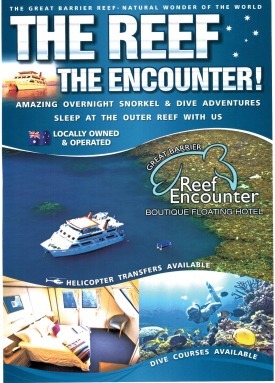 Because one day on the Great Barrier Reef is never enough...sleep on it with Reef Encounter! Rum Runner is Cairns most affordable Outer Reef liveaboard dive trip operator, offering the best deals to the budget minded travelers and backpackers. NEW! 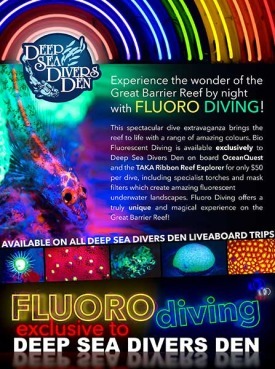 Bio Fluorescent Diving is available exclusively to Deep Sea Divers Den on board TAKA Ribbon Reef Explorer for only $50 per dive, including specialist torches and mask filters which create amazing fluorescent underwater landscapes. 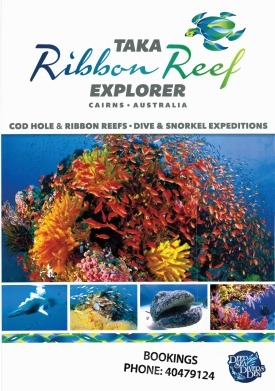 This spectacular dive extravaganza brings the reef to life with a range of amazing colours. Fluoro Diving offers a truly unique and magical experience on the Great Barrier Reef! Mike Ball Dive Expeditons range from a three night 'Fly Dive Cod Hole' expedition, to a four night 'Fly Dive Coral Sea' expedition or seven night 'Coral Sea Safari' that combines both the three and four night expeditions. Experience world class liveaboard diving at Cod Hole, Osprey Reef, Coral Sea, Ribbons Reefs with Spirit of Freedom, departing Mondays & Thursdays. 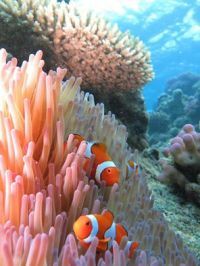 Join Taka Ribbon Reef Explorer on the 3 Day/ 3 Night Southern Ribbon Reefs or 4 Day / 4 Night Liveaboard Cod Hole & Ribbon Reefs. 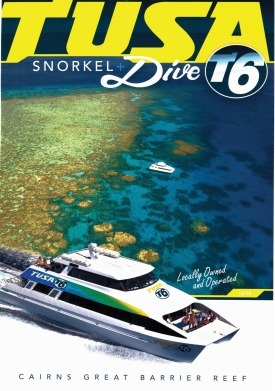 Enjoy up to 14 dives.